Instead of taking a coffee break try taking an afternoon tea at the St. Regis. Afternoon tea is served in the Astor Court of the hotel where there is a calm and comfortable ambiance as well as beautiful dining area. Named after Lady Caroline Astor, New York’s powerful social leader of the 1890s and established the famous “Astor 400” list of New York’s most influential society members. At the epicenter of the extravagant soirees and afternoon tea was the St. Regis New York Hotel. 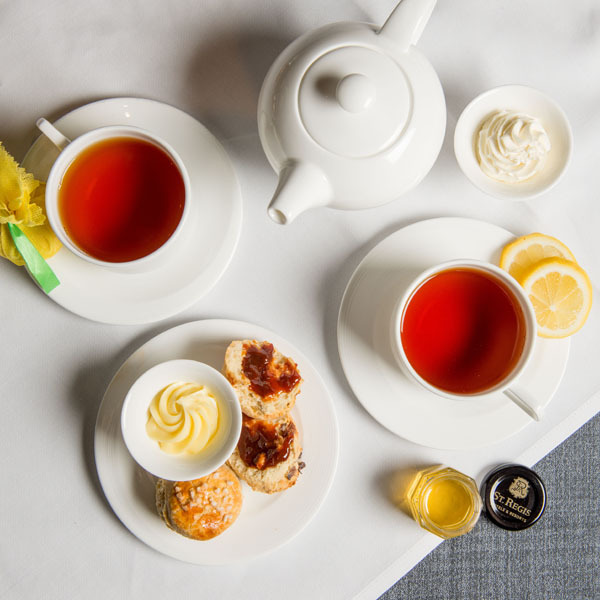 To celebrate the joie de vivre of Lady Caroline Astor, The St. Regis hotel has introduced 2 styles of high tea- the traditional Lady Astor’s Tea ($65 pp) and Caroline’s tea ($85pp) – a more modern and savvy interpretation of high tea. 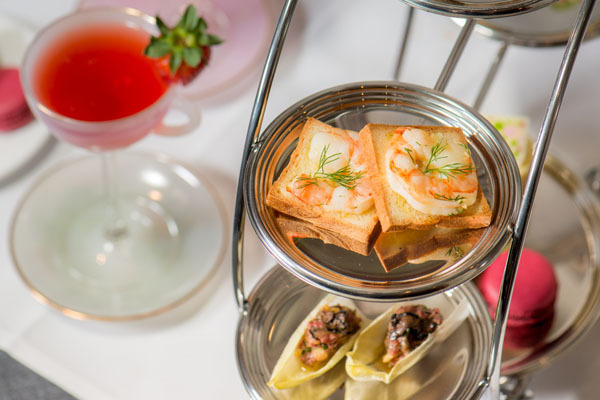 While Lady Astor’s selection of tea sandwiches would include lump crab salad, smoked salmon, egg salad and cucumber, Caroline’s tea sandwich selection has foie gras mousse, duck prosciutto, dill marinated shrimp. Of course save room for the sweets selection. 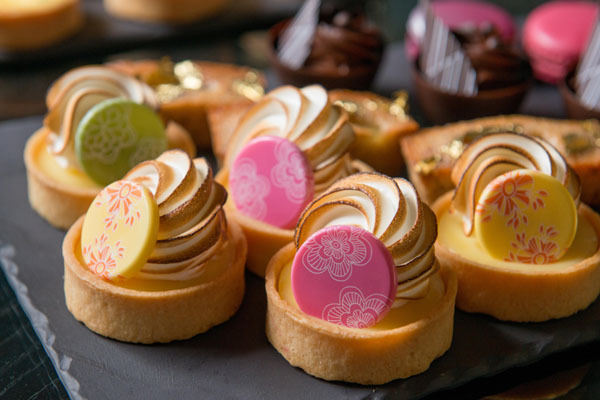 Lady Astor’s decadent menu features a lemon tartelette, dark chocolate mousse made of 64% Manjari Valrhona Chocolate, assorted Macarons or Hazelnut Apple Financier with sweet caramel. And Caroline’s menu features lighter selections such as a strawberry tea cake, raspberry sacher and classic New York cheesecake. When coming for afternoon tea make sure to take a peak at the menu beforehand due to the marvelous selection of tea. One thing is for sure every guest must sip on the Champagne Tea, which is served with Veuve Clicquot Yellow Label. Besides Champagne Tea there is a wide selection of black, green, oolong, white, and herbal infusions and fruit tisane tea. If you’re in the mood to really indulge try the Caviar Tea for Two which is served with two glasses of Veuve Clicquot Yellow Label. Get your best gal pals and head to the St. Regis while unwinding at afternoon tea.